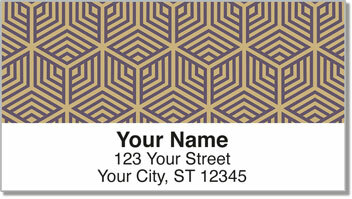 This intriguing set of address labels features four unique designs with appealing geometric patterns. One is like a massive maze while another, looks like the facets of a diamond. All of the layouts make use of attractive symmetry - something our eyes always find pleasing. Geometric Pattern Address Labels are a sharp-looking and convenient product that will save you time as you prepare letters, packages and more for the mail. They have a handy self-adhesive backing, which lets you peel and stick them on all your envelopes instead of dealing with messy licking. 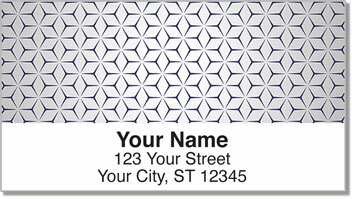 Order your own Geometric Pattern Address Labels now. 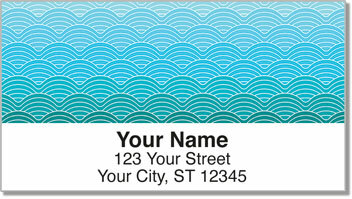 You can also find this design as asset of matching personal checks.